Three students from each grade (4th-6th) represented their class by participating in the Granby School Spelling Bee. 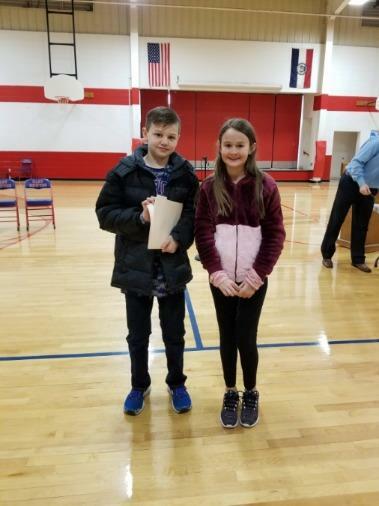 These students are top spellers in their grade, and they competed against each other for the right to represent our school in the Joplin Globe Spelling Bee on March 18th, 2019. This year’s winners were Reid Johnson (1st Place; 6th Grade) and Ella Ford (Runner Up; 4th Grade).